This 8.2 million square feet is a 75.6% increase from 2016’s total, essentially equivalent to adding an additional Plano office market to the region, says Transwestern’s Ryan Tharp in a recent analysis. Dallas led absorption in 2017 with nearly 5.3 million square feet. DALLAS—Significant net absorption in markets such as Dallas/Fort Worth and Austin, TX contributed to a decline in vacancy, as did a deceleration in new construction starts during the fourth quarter, according to Transwestern’s 2017 year-end report on the national office market. Ryan Tharp, director of research for Transwestern’s Dallas office, noted that Dallas led absorption in 2017 with nearly 5.3 million square feet. This is a 64% jump from the previous year’s total. Vacancy rates have fluctuated between 14% and 15.5% for the last five years, despite the market delivering an additional 26.7 million square feet during that time. Construction deliveries in 2017 totaled 8.2 million square feet, a 75.6% increase from 2016’s total. Tharp says this building expansion has differed from previous ones in that it’s been primarily driven by the unabated demand for space. The volume of companies relocating and expanding in this region has created demand to which developers were quick to respond. Submarkets such as Uptown/Turtle Creek, Preston Center and Legacy remain highly sought-after areas, and rates there will likely continue to outpace the regional average. 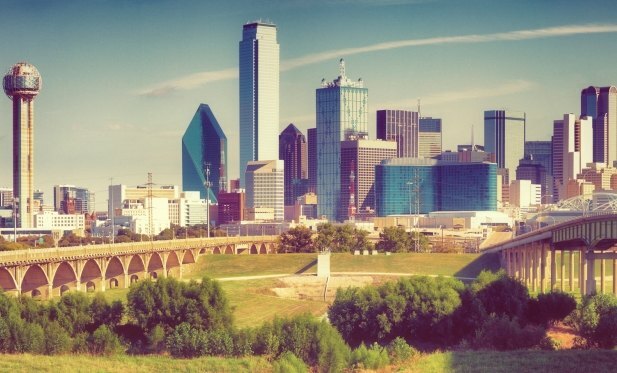 Dallas-Fort Worth is consistently near the top in terms of economic growth. As of December, the metroplex has pulled back slightly from the 3% to 4% annual job growth recorded during the last few years. Other markets with large absorption rates were San Jose/Silicon Valley, Seattle and Northern Virginia. Healthy rent growth also was experienced around the country in the fourth quarter of 2017, with the top 10 markets in this category–representing Eastern, Central and Western regions of the country–posting increases between 5% and 9%. Confidence in the market’s performance through 2018 remains high, especially in light of recent tax cuts to which the business community is responding favorably, as of now.